FREDERICKSBURG, Va.—I don’t know if it’s just the neat patriotic lights or the hypnotically relaxing yellow floral pattern on the carpet or the kindness and decency of everyone here in the audience with me, but this cover band trio sounds pretty good. They are doing “To Love Somebody,” that immortal baroque pop classic from the first Bee Gees album in an all-acoustic arrangement. When I try to figure out what the band’s name is, someone tells me that it’s “Ask Fred” and that they usually play R&B. It’s easy to imagine the front-woman easing her way into “The Dark End of the Street” and the bearded guy behind her laying down a mellow groove on a vintage Hammond organ. 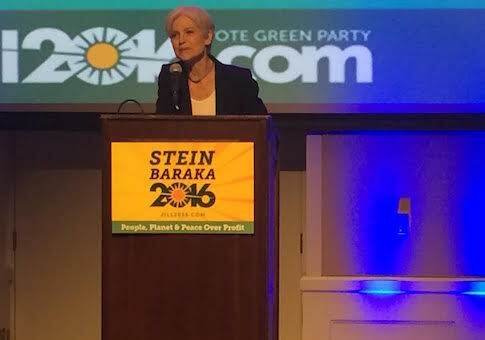 Green Party presidential nominee Jill Stein said on the 15th anniversary of the September 11, 2001, terrorist attacks that she would not have ordered the killing of Osama bin Laden. 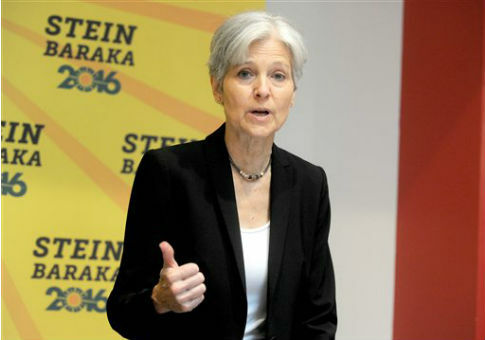 Green Party presidential candidate Jill Stein is expected to face charges of either trespassing or vandalism in connection to a protest held Tuesday at a Dakota Access Pipeline work site.